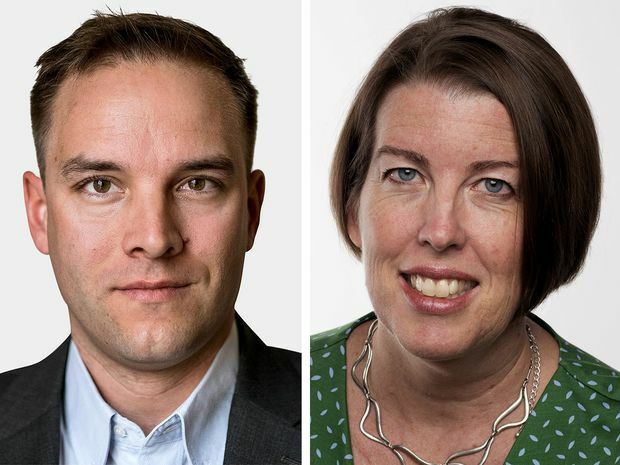 Globe and Mail journalists Nathan VanderKlippe and Stephanie Nolen have won Amnesty International Canada media awards for their work covering human rights issues this year. Globe and Mail journalists Stephanie Nolen and Nathan VanderKlippe have won Amnesty International Canada media awards for their work covering human rights issues this year. Ms. Nolen won her record sixth award from Amnesty International Canada, this time in the long-form print category, for her effort detailing the fallout of Colombia’s peace process. Her work illustrates the turmoil in Colombia as groups battle to fill the power vacuum created by the peace deal, and the deadly implications for the country’s most vulnerable communities. “It is always an honor to be recognized by Amnesty International. I am grateful also to the many brave Colombians who spoke with me for this story, at considerable risk to their own safety, to help me understand the ongoing crisis of the murder of community leaders and environmental and Indigenous activists," Ms. Nolen said. This Amnesty International Canada award is Mr. VanderKlippe’s third. He won this year in the print short-form category for his work investigating China’s massive re-education campaign, which involves the detainment of hundreds of thousands of people, many of them Muslim Uyghurs and Kazakhs. The piece features interviews of former detainees in which they describe the mantras, self-critiques and punishments they endured in the re-education centres. “To write about it under China’s hostile reporting conditions – where Beijing weighs every word written or broadcast by foreign correspondents – demands courage and commitment. Nathan VanderKlippe coolly demonstrates both,” Bill Schiller, one of the jurors for the prize, said in the announcement. “We commend and honour them for both the quality of the work but also their passion for rights and justice as journalists," Mr. Neve continued. Holly Moore of APTN won in the video category for her work looking at medical experiments performed on Inuit and Dene in Canada from the 1940s to the 1960s. In the audio category, CBC Radio’s Ryan Hicks won for his piece centred on an Indigenous Guatemalan woman deported four times from the United States. In the multimedia category, CBC’s Laura Lynch and Sylvène Gilchrist, along with producers Samira Mohyeddin and Karin Marley, won awards for “Shakila’s story." The piece focuses on Shakila Zareen, a refugee from Afghanistan who was shot in the face by her much older husband, but survived and fled to India before making a home in Canada.